Healthcare Professionals are BUSY. No doubt about it. They juggle many responsibilities: caring for patients, staying on top of new medical and scientific developments in their field, managing their practice in an ever-changing economic environment. All of these are of the utmost importance for the well-being of the healthcare professional and those who depend on his or her expertise. Unfortunately, the also-important but perhaps less-urgent aspects of that professional’s own personal financial goals can easily be overlooked. 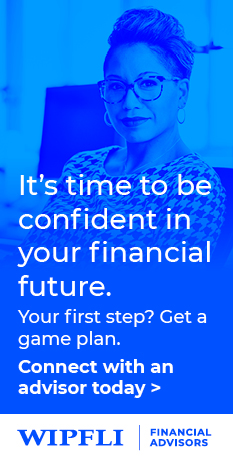 It is common among many of them to not seriously plan for their own personal financial goals until later in life. The prognosis: this delay can cost them dearly. Most healthcare professionals are very smart people but are inundated with an endless list of tasks and severely limited time in which to accomplish them all. Managing cash flow and debt levels may be a most-important point of order for an early-career healthcare professional. In today’s litigious world, managing potential liabilities through a risk management program can be fundamental, especially as assets and plans develop over time. But peak earning years might only last a fairly short time for many professionals these days. Not addressing long-term personal financial goals until later in life could leave you without a well-developed plan for maximizing your earnings in these crucial years and thus could hinder your efforts in achieving your desired future. Three important questions each healthcare professional should ask himself or herself: Do I have a firm idea of how much money it will take to fund my future retirement dreams? Have I specified my retirement goals with the same effort I used to plan my last vacation or other large purchase? If I have already saved and invested some money, is it properly diversified and in-line with my risk profile? One issue that is sometimes overlooked is the financial protection of one’s family. Disability and life insurance can protect you and/or your loved ones if something happens to you. But don’t confuse that matter with the related issues of succession and estate planning. For instance: will the business be dissolved after you are gone? Will it pass to any of your children? 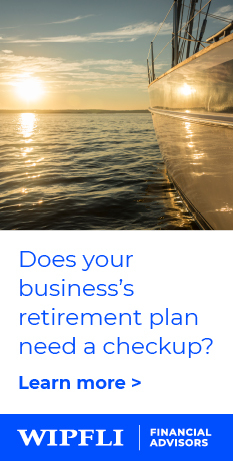 Regardless of age, a business owner should meet with a qualified attorney or financial/estate planning specialist to determine goals and needs in this area, including plans for business assets. 2) Ending up working with a “financial advisor” who wants to sell them the latest or hottest product. Unfortunately, some financial services salespeople may not be focused on your best interests, but may rather be focused on the ways they get compensated. This second outcome involves real risk. At best, an advisor who provides such conflicted advice can influence a business to refrain from obtaining actual financial planning. At worst, such an advisor can seriously damage a business owner’s long-term financial future. With some luck and a lot of work, you may move onto to bigger and better challenges within the business. But don’t forget to stay on track to personal financial goal achievement. Review and revise the goals you have for your business and your family. Rely on a trusted advisor to help you avoid the pitfalls along your path. Nate Wenner, CPA, PFS, CFP®, CIMA®, is a Principal and Regional Director with Wipfli Financial Advisors in Minneapolis, MN. Nate specializes in financial planning for high-net-worth individuals and small businesses, focusing on retirement distribution planning, estate planning and business succession planning.